Hello there sweet friends and Happy Thanksgiving! You still have a day or so to leave a comment to be in the running to win an Amazing Paper Grace die on this post——->HERE. 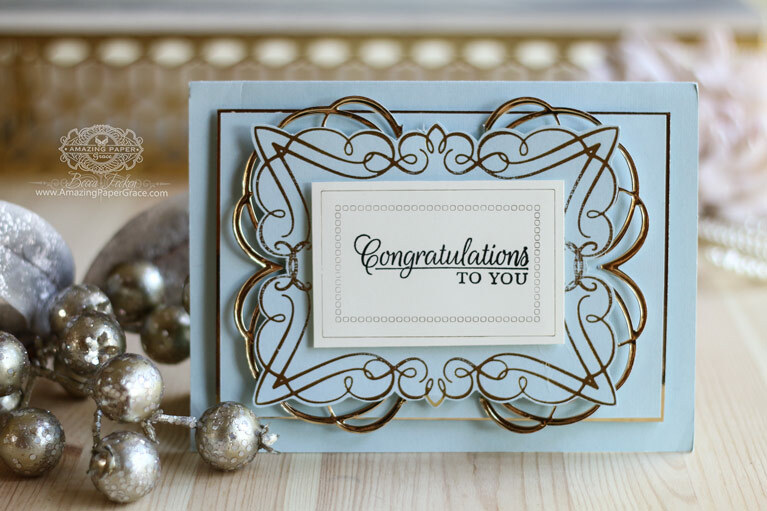 Thank you so much for stopping by the blog hop we kicked off on Tuesday to cover the Spellbinders Glimmer Foil System and as promised I wanted to pop in and answer some questions I’ve received in emails about the Foil System. For those who are new here, I’m not a stranger to foil but I’ve finally found a way to get consistent results (without having to buy a printer and rely on the quality of toner). The new Foil System is a staple on my desk and will be for some time to come. My card today is simple, just foil plates from Glorious Glimmer and dies with an added sentiment. I’ve used Glorious Glimmer Elegant Rectangle and Flourished Square Die from Romancing the Swirl. No bow, can you believe it? Yep. All that is to say that Glimmer Plates are just like rubber stamps except they are made out of metal which queues them up for additional uses like Letterpress and Deep Embossing. I’m really so smitten with this machine and have already developed plates deep into 2019 that are pretty darn cool if I must say so myself. Do you need a Die Cutting Machine in order to glimmer? Answer: Yes, you need a die cut machine with the same tall aperture it takes to cut steel rule dies. The perfect pairing is the Spellbinders Platinum and Platinum 6 however there are other die cut machines on the market that are compatible. 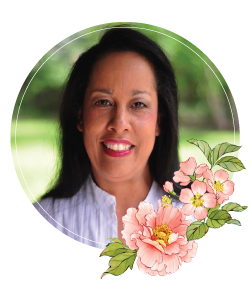 For a list, check the Spellbinders website. How does the Glimmer Machine work? Answer: The Glimmer Machine works with heat and pressure in an amount that is available with a slower pass through the Spellbinders Platinum and Platinum 6. The spacing in the Platinum with the combination of Glimmer spacer plate and Glimmer shim give the exact thickness needed to transfer to the foil. If I add on more and more shims and more and more heat, will my transfers be better? Answer: The “s correct spacing actually feels loose and doesn’t have the same binding feel as when you die cut. That is because too much pressure will over transfer foil as will too much heat. The Glimmer Base along with the Spacer Plate and Shim are calibrated for the optimum transfer. Can I use other foils with the Glimmer Machine? Answer: The Glimmer Machine is designed to work with “heat” transfer foils while other machines may be designed to work with toner to fuse foil to paper. As long as you are using a “heat” transfer foil you should be okay, but I recommend testing it out before investing in other foils. Do the Glimmer Plates cut like dies? Answer: No, the glimmer plates are just like stamps except they are metal. They can also be used for letterpress, stamping them with ink and deep embossing. Many of my sets include matching dies so that you can cut out what you have glimmered. What comes with the Glimmer Machine? Answer: The Glimmer Machine comes with a dock and base plate as well as an electrical cord. (There is a US version and a UK version of this machine). Inside there is a silicone mat, a magnetic tweezer tool, a glimmer plate, a set of 2 foils, and clear Glimmer Space Plate, an opaque Glimmer Shim and an instruction booklet that outlines all of the materials you can glimmer on and which shims are needed for those materials. Why isn’t the shim attached to the Glimmer Base with a hinge and can I simply use my Platinum 6 shim? Answer: In my opinion, not having the shim attached gives you a lot of latitude to glimmer different materials. Plus if anything happens to your shim, you don’t have to replace the whole base, just the shim. No, you cannot use the Platinum 6 shim, they are different thicknesses. Answer: That gridded surface (1/2″) increments, is very handy. It will accommodate a plate that is 5-3/4″ x 6-3/4″.That does it! If you have any more questions, don ‘t hesitate to ask!! Happy Thanksgiving!! I hope you are having a lovely time with your families!! I love your new shimmer foiling system stamps. I have purchased some, but am yet to use them, as I missed out in the foiling system machine. There first run was so popular they ran out! I couldn’t buy it online direct from the states as the power cable won’t match out power points in Australia . Happy to see you’re creating and keeping yourself busy while you wait for your life to get back to normal. Keep your beautiful creations coming, you truly are an inspiration to many! You continue to amaze me with your beautiful cards. I love the new foiling system so much that I just had to buy one. Can’t wait until it is sent out. Shhhh, it’s a Christmas gift from my husband to me. 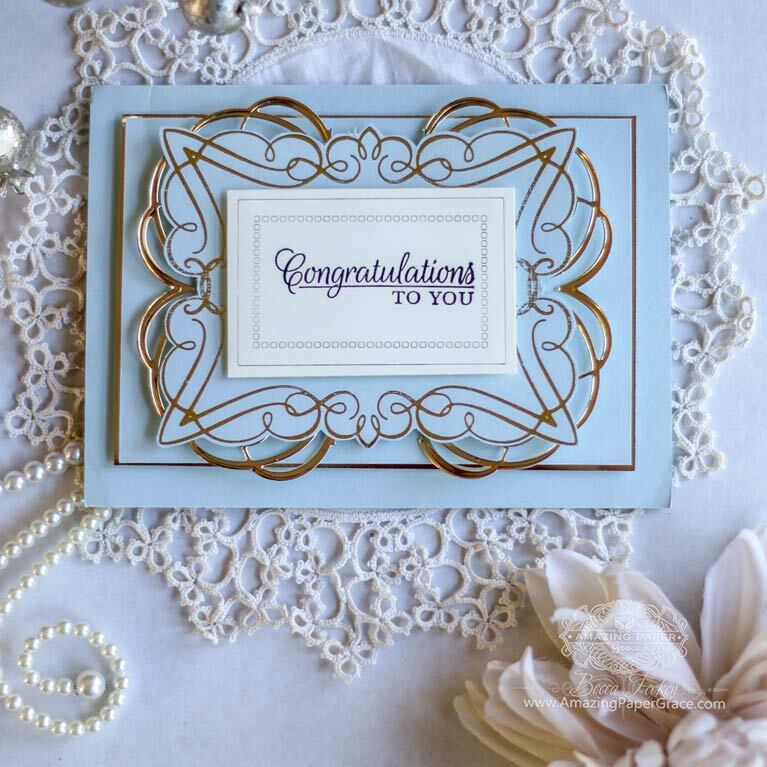 Your beautiful card says it all – Congratulations to you! Looking forward to more from you next year. Gorgeous!! What an elegant look you have achieved. Thanks for answering so many questions, Becca, but I do have one more. In your second photo it looks like there is a lacy bit of die cut swirl under everything. 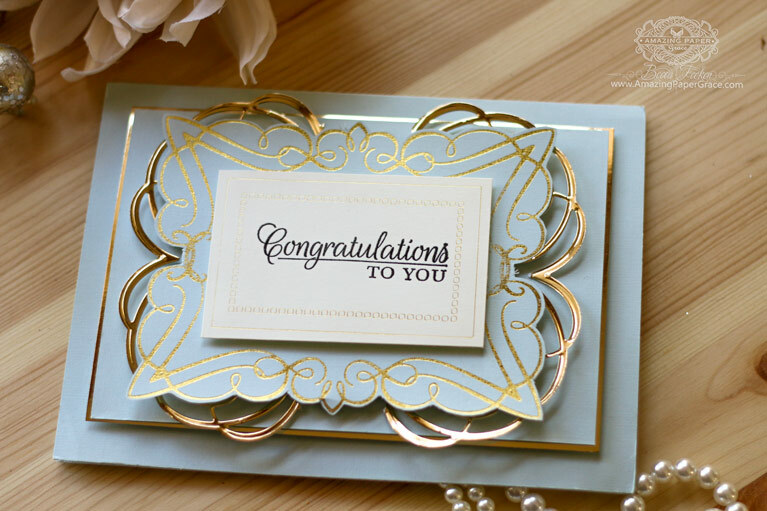 Is that die cut from your gold poster board that you like to use, or is that another glimmer piece? Need more info…..
Good morning Becca, Happy Thanksgiving!!! Hope you’re doing ok!!! Love the foiling its so lush!!! I wish the budget would stretch but hey ho? Lovely card even without a Becca bow!! The foiling adds just “the touch.” Thanks for sharing and answering the questions. This must have been a hard holiday for you and hoping that you will soon be back in your home and back to normalcy. Have always loved your cards. Can you do a video with helpful tips on lining up my paper and plates on the hot glimmer machine? I just bought one and have a little problem with getting things lined up, but I really love the machine. I hope you had a happy Thanksgiving, wherever you celebrated. What a lovely colour combination! Loving all the foil!